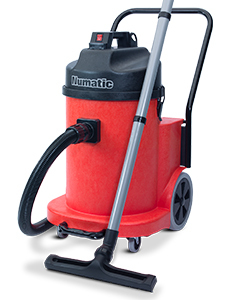 The Numatic NVQ900 is a industrial dry vacuum cleaner equipped with a high powered vacuum motor on maneuverable frame. “Vacuum Bags” Available for all models. “Reduced suction” Replacement vacuum filter available. “Loss of suction” Split vacuum hoses available. If you’re in Salisbury and need a service or repair on your Numatic NVQ900 call, email or drop-in to our Bristol service and repair centre.